The history, culture, capabilities and individuals that make up a law firm are all unique, and combine to define the institutional personality of each individual firm. Our approach to resolving a law firm's transitional issues is premised on understanding this personality and critical characteristics. This is the foundation of our approach. It allows us to tailor a series of tests and inquiries that evolve into an analytical framework that is reviewed and examined with the client -- resulting in an initial assessment, testing and early hypothesis. A frank give and take with the client yields more vital information leading to a consensus about critical transitional issues requiring immediate attention, identifying those issues which are manageable in due course, and those that can be deferred. Having triaged the transitional issues with full client involvement, Hayse can develop solutions to the identified transitional issues of greatest importance all the while keeping in mind the client's ultimate goal. 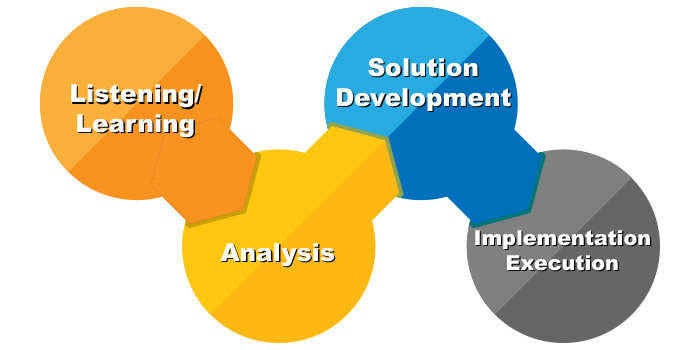 Our developed solution is tested, debated with the client and ultimately results in a final recommendation with an accompanying implementation and execution strategy.